This post is sponsored The Little Potato Co. All opinions are my own. 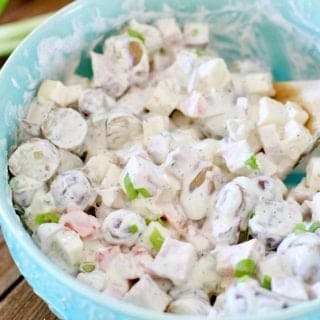 What’s better than ham salad? 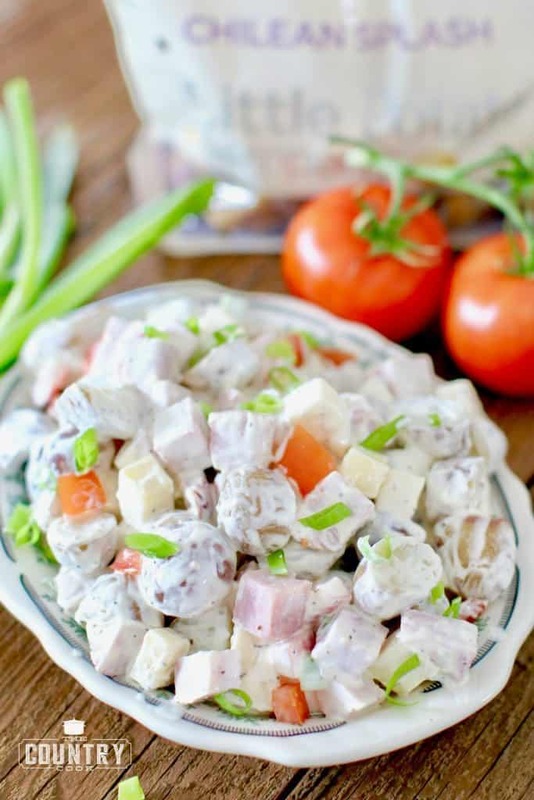 Ham salad with Little Potatoes added! 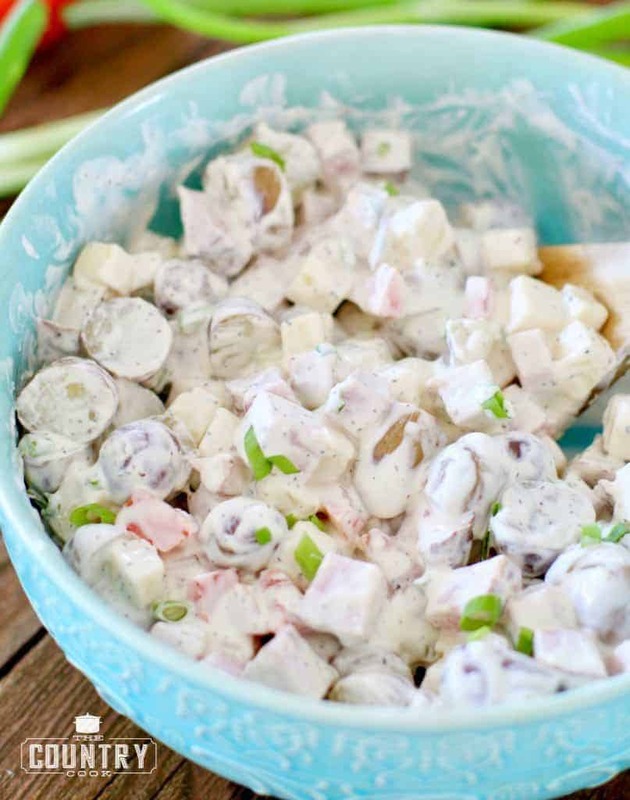 If there is one dish you need to make for Memorial Day – it is this one! Folks are gonna rave over this one and everyone will want the recipe. Seriously, this dressing recipe is like no other. 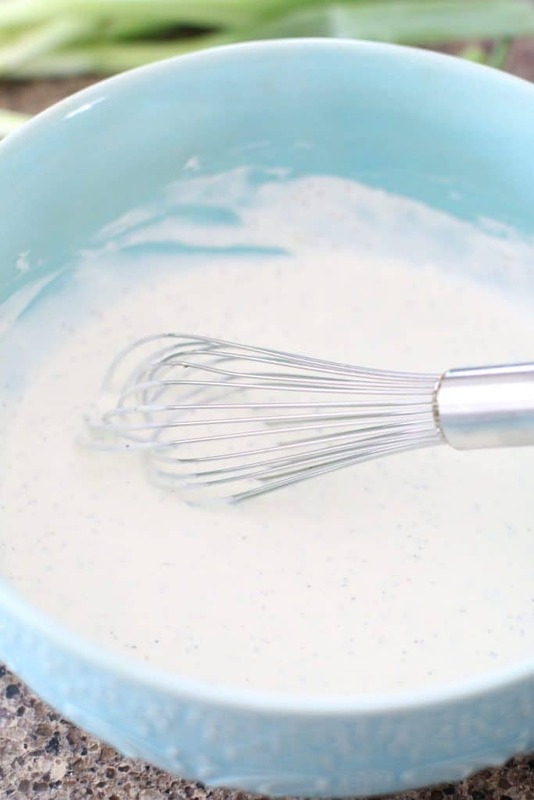 It is creamy deliciousness and it stays creamy! No dry tater salad with this one! 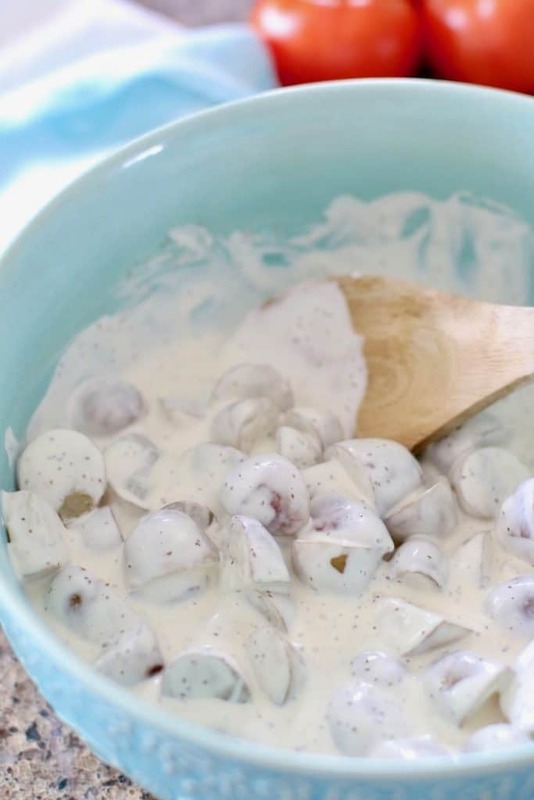 The flavors come together so well and the tender creaminess of these Chilean Splash Little Potatoes is just what this salad needed. They are so pretty too. I use them in my One Pan Greek Lemon Chicken and Potatoes meal. They’re a creamy yellow potato with a splash of purple. And you get a side of nutrition (potassium, iron, fiber and Vitamin C) in every serving! 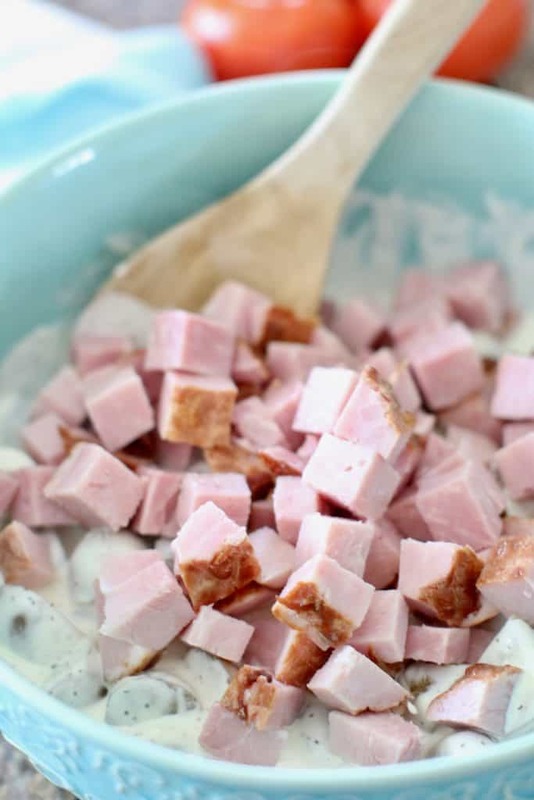 For this recipe you’ll want to use a good, smoky ham that is already fully cooked. Also, the tomatoes are optional but they really add color and flavor to this side dish. You could also think about adding red peppers if you don’t like the tomatoes. And bonus: you can make this the day before you need to serve it. It also gives the flavors time to come together. 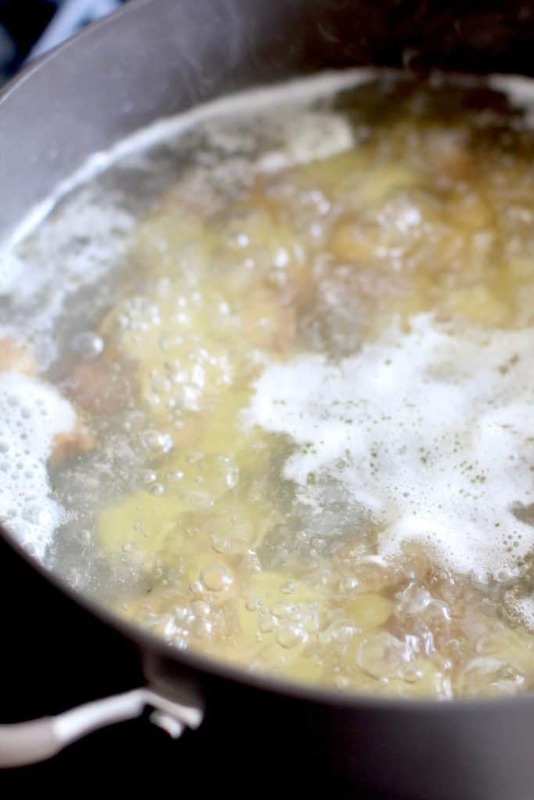 Slice Little Potatoes in half, place them in a large saucepan and cover with water. Aren’t these Chilean Splash potatoes purdy? Bring to a boil. Reduce heat and cook for an additional 10-15 minutes until fork tender. Drain well. Meanwhile, in a large bowl, whisk together the mayonnaise, sour cream, chicken broth, dijon mustard, celery seed, salt and pepper. Then add ham and stir again. Finally, gently stir in cheese, tomato and green onions. 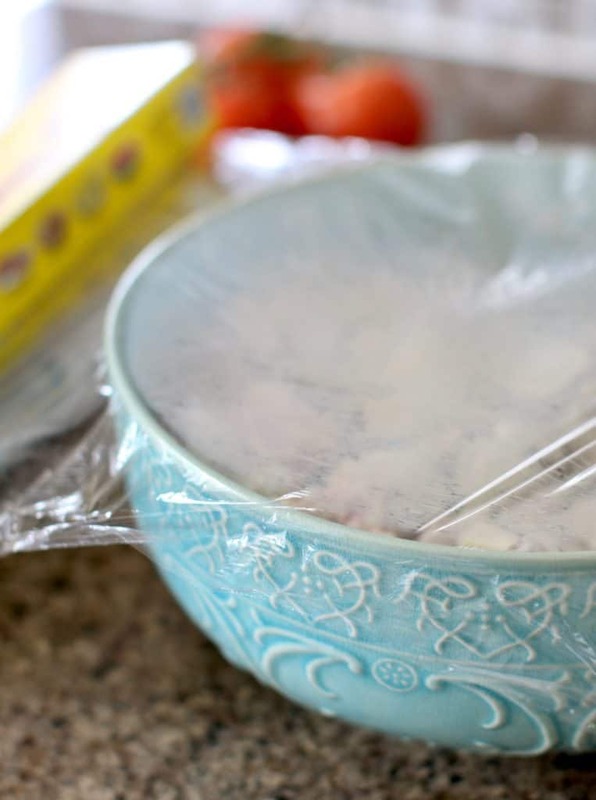 Cover bowl with plastic wrap and place into the refrigerator for at least 2 hours. 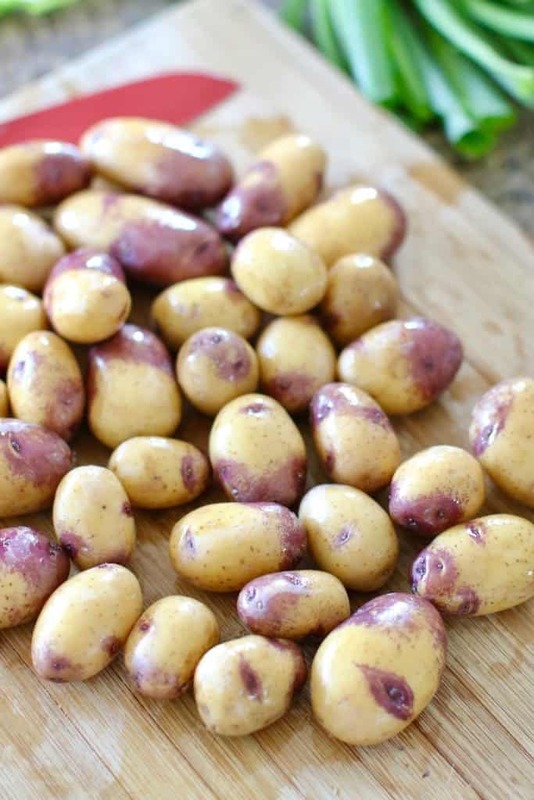 Slice Little Potatoes in half, place them in a large saucepan and cover with water. Bring to a boil. Reduce heat and cook for an additional 10-15 minutes until fork tender. Drain well. 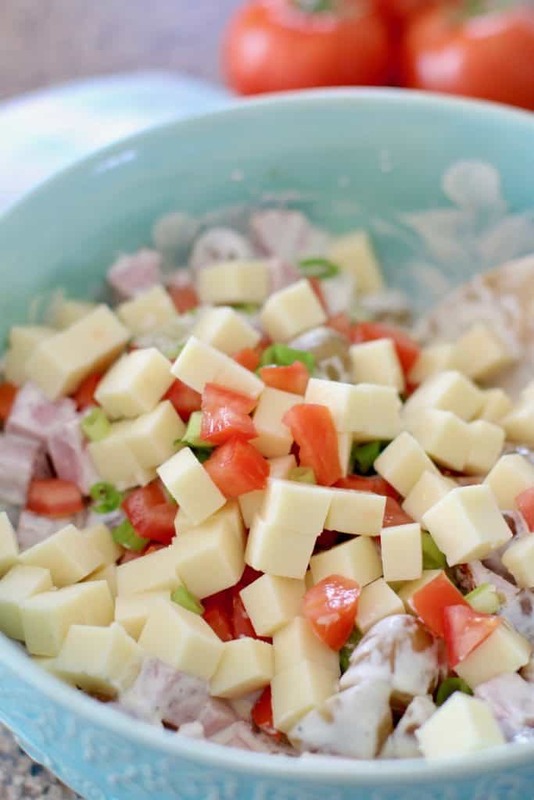 DO YOU REALIZE THAT IN ORDER TO GET BOTH RECIPES FOR THE HAM AND Cheese Potato SALAD>>>>> It took 17….SEVENTEEN>>>>>PAGES JUST TO GET BOTH RECIPES AND DIRECTIONS. THAT IS RIDICULOUS . We are grown ups and don’t need pictures for every step when they are so simple and ordinary. I was really upset wasting the paper and ink and my tme. What a classy response! You surely made your Mama proud and displayed great Southern charm! Thank you for the recipe, for the FREE printable option, on your FREE website! Keep ’em coming! By the way, I am old enough to be your mother but I do remember the day when I was a new novice cook and always appreciated step by step photos. No one ever knows how many new cooks are following your blog and appreciate them as well. Job well done! Amen, when we were just beginner cooks, they didn’t have pictures & details as in your recipes. Even tho I’ve been cooking for many, many years, at times I still find it helpful. This recipe sounds wonderful. Thank you! Brandie…I absolutely love the step by step with pictures and I am no beginner….I also print your recipes and I always print front and back side however most of your recipes print on one page, one side. 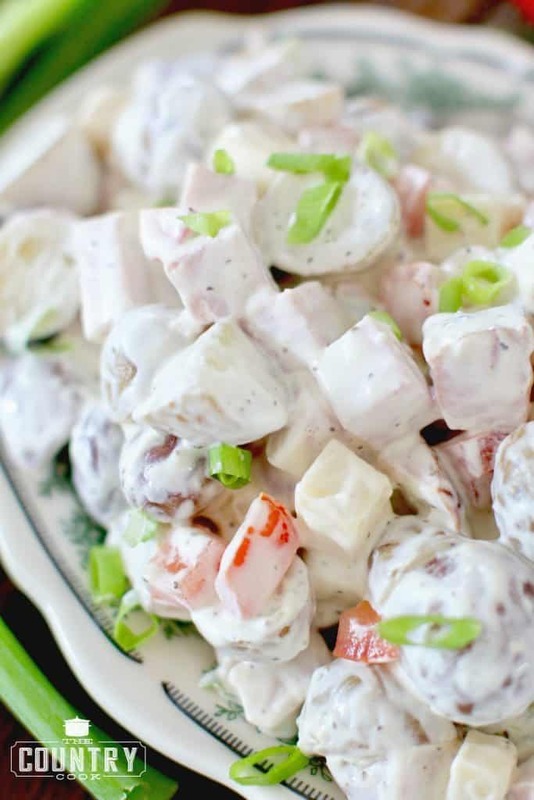 I plan to make this potato and ham salad for a Memorial day family reunion. I can’t wait! Thank you for your free recipes! Hi Ms. Carter! Thank you for taking the time to comment and let me know that you find it helpful! I sure do appreciate it! Hope you love this one!! 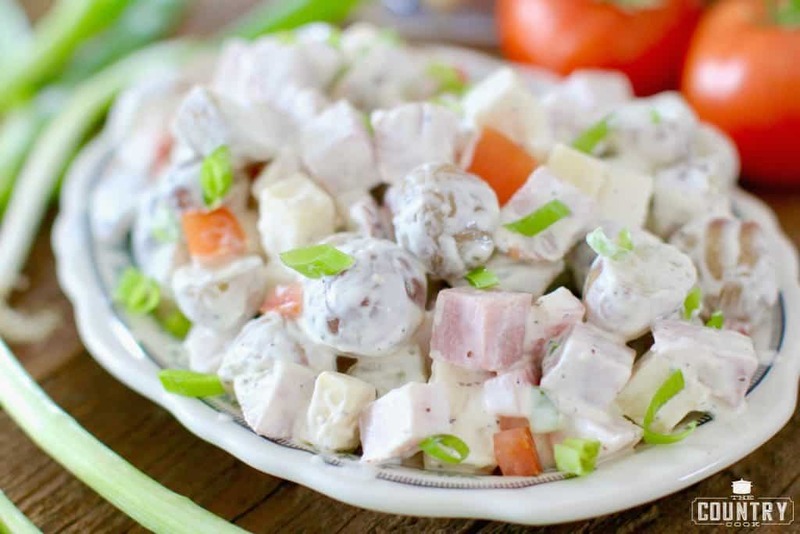 This ham/potato salad looks so good! I am going to have to try it! YUM YUM!! Brandie, your recipes are always a hit – every single one I’ve made is a winner. 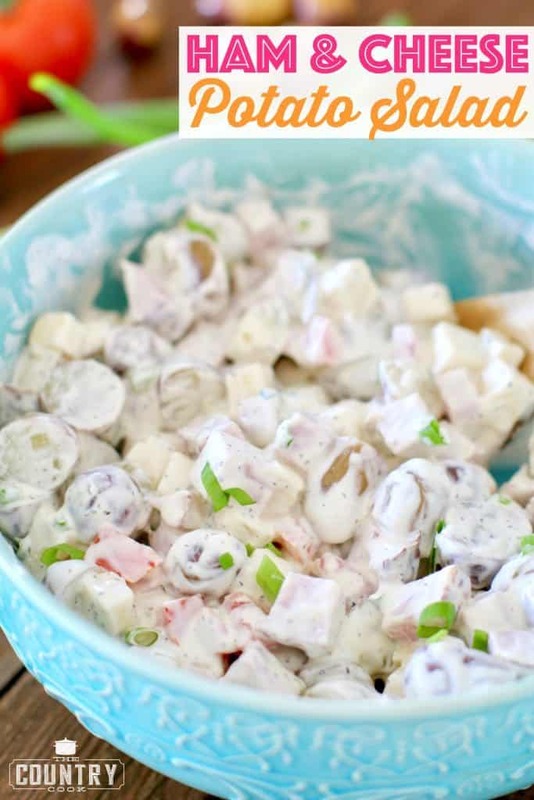 This one is definitely on the Memorial Day cookout menu! Thanks for your recipes, your smile, and your lovely photos. Your website is a pleasure! Bless you Glenda! Thank you so very much!! 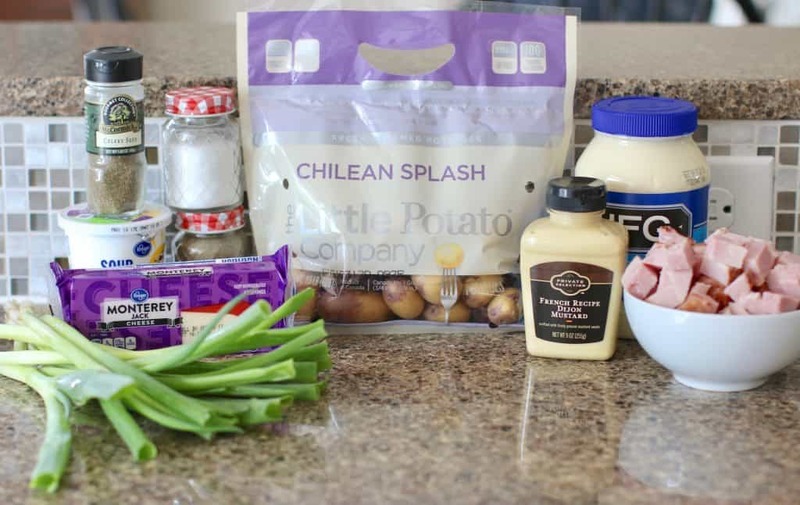 CAN I SUBSTITUTE ANOTHER POTATO IF I CAN’T FIND THE CHILEAN SPLASH POTATOES? THE RECIPE LOOKS GOOD! I’M FROM IOWA…SOMETIMES OUR STORES DON’T CARRY THESE UNIQUE POTATOES. THANK YOU FOR ALL YOUR RECIPES. ALWAYS APPRECIATE THAT I CAN FIND YOUR RECIPES PRINTABLE. I ALWAYS PRINT ONE FOR MY NEIGHBOR, TOO.